Reason they were abandoned /require rehoming? Polythemus was rescued, along with about 70 other hamsters, from a breeder who allowed things to get out of control. Any behavioural problems? Polythemus hasn’t been handled much so this needs some work but his natural inclination is to be friendly so a home with some experience should be able to win him over no problem. 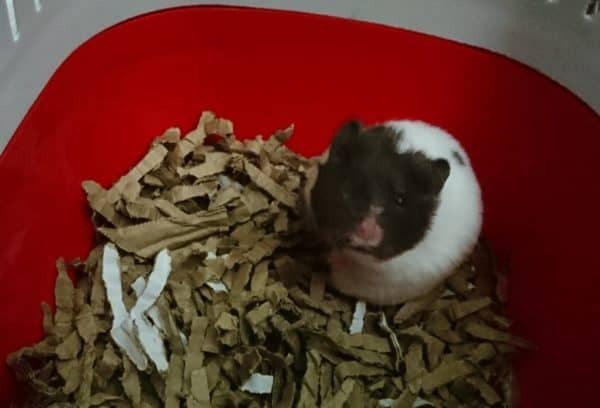 Type of household hamster would best be suited to: (example, family with kids, no kids, no other pets and so on) Polythemus would like a home with some experience of hamsters, who can put the time and patience in to winning his trust. He needs an adult handler so would not be suitable as a child’s pet.